Flexible, smart communication systems are crucial for airports, train/bus stations and logistics centres. 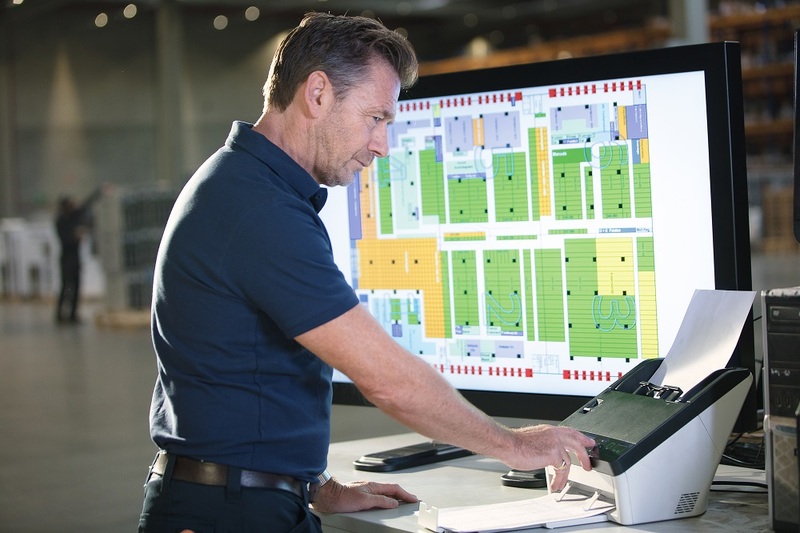 Panasonic offers a full suite of communications solutions, from comprehensive SIP-based infrastructure technologies that simplify IT and reduce costs by transmitting voice and data over a single, unified network, to hard-working scanners that keep your business up and running, day in, day out. We work closely with your teams to identify their precise needs so we can support your entire establishment with a customised solution that provides seamless communications and increased productivity today and can scale to support your future growth. Mobility for all your staff: Unified communications means that your staff are available anytime via a designated means of contact. In most cases, that will be via their deskphone, mobile, by email or by chat. The system allows them to change their status so that they can be reached by their preferred route. 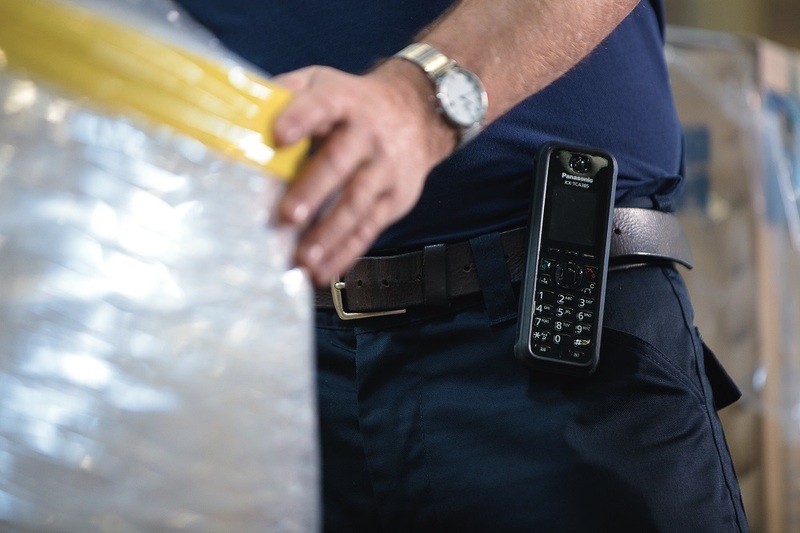 Even their personal mobile phone or internal DECT solution can be integrated as a pre-determined extension with the “ONE-NUMBER” concept. It’s equally straightforward to integrate home offices into the unified communications solution. Message broadcasting: By using your paging infrastructure or desk phones, we can provide a system which allows you to make announcements at any time from any phone. Security integration: Integrating our CCTV solution with alarm messaging adds a deeper, more intelligent level of security to your premises. If a technical problem, security breach or fire alarm is detected, the phone system can inform relevant people right away, by calling, texting or paging. So your response is immediate and safety is maximised. Panasonic’s IP Business Communication Server makes communication simpler and more flexible than ever before throughout your premises. The IP Communication Server provides an innovative unified collaboration and communication environment, including desktop tools, voicemail and an interactive voice response system (IVR). Providing you the Freedom to ‘inter’ connect up to 2000 users in a single network, with larger applications based on your needs. Fully transparent network features, first-class voice quality in HD wideband audio and swift capacity expansions make the system the most complete solution available. 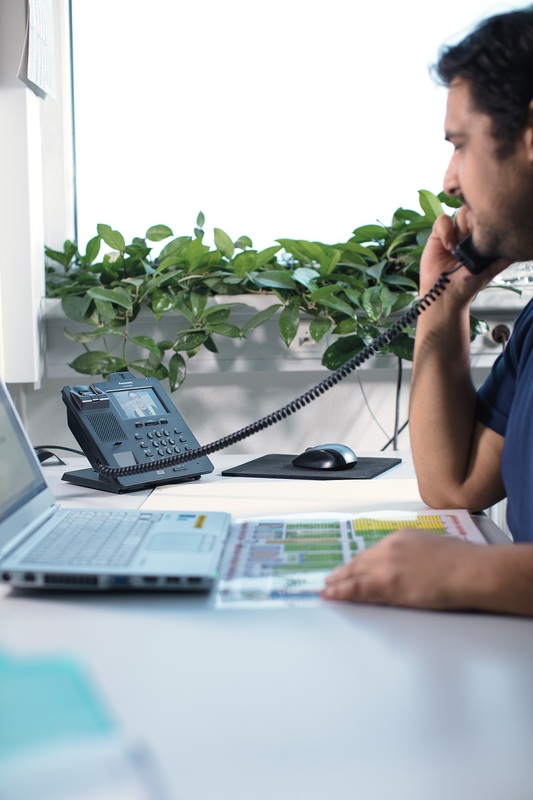 Designed to maintain effective, consistent communications throughout your business network, we give you the Freedom to communicate using our comprehensive range of SIP solutions. From a standard Deskphone to single or multi cell Cordless solutions to a Cloud based H-PBX solution.